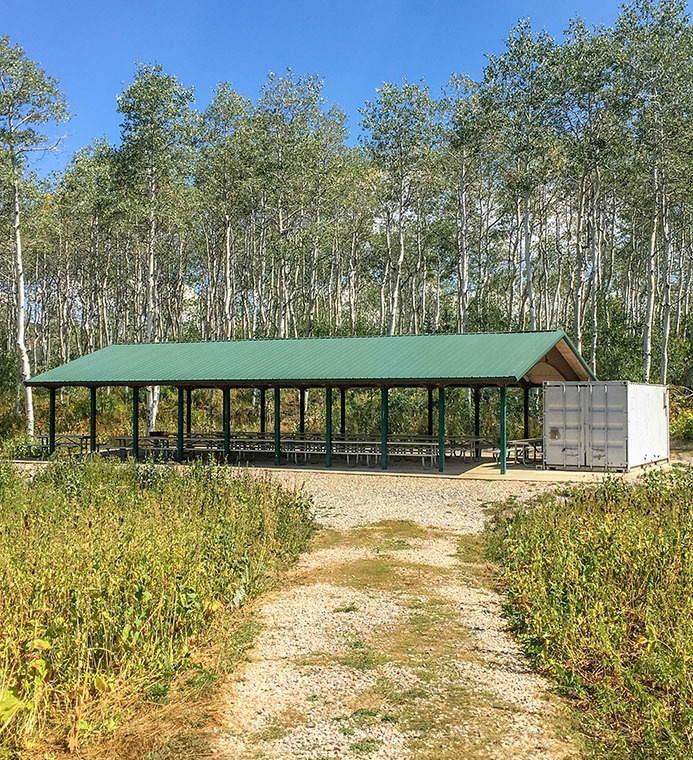 No city park, campground, or public area is complete without one of our timber shelters. The modern design will add beauty to the community while promoting a healthy, outdoor lifestyle. As the manufacturer, we will work with you on custom sizes, colors, and more. To get started on your timber shelter order, send an email to russelhsmith@gmail.com or call (801) 414-1724. Clerestory, Hip Roof, and Gable are the three pavilion styles we offer. Gable Roof Style is most popular for the timber shelters. Pavilion kits are available with different psf options, keeping the roof safe from heavy snow loads and wind. Powder coat is applied to the steel columns and purlins. It is available in a variety of colors to match the outdoor setting. Looking for a 30′ x 60′ pavilion, or maybe something a little more custom? We work with custom pavilion measurements. Choose between shingles or mega rib roof for the pavilion structure. You can view the color options here and here. With a lighting kit, the shelter is ready for use, day or night! Lighting essentials are available with most standard pavilion kits. At Smith Steelworks, we are proud to be a manufacturer of timber shelters. What does this mean for our customers? We provide the full pavilion shelter, including: beams, roof, lighting kit, etc. This ensures that you will receive the best price on all products. Working with a pavilion manufacturer also takes away the need for a middle man. Our team will work with you from ordering to receiving the pavilion kit. No worrying about switching companies! Have questions? Ask away! Our door is always open. Call today at (801) 414-1724. Add site furniture to complete your timber shelter. 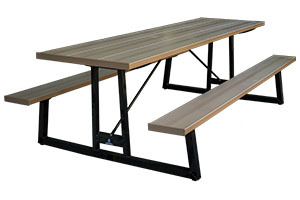 Picnic tables, trash receptacles, benches, and more are all available here at Smith Steelworks. Finish your park build-out with our site furniture line. 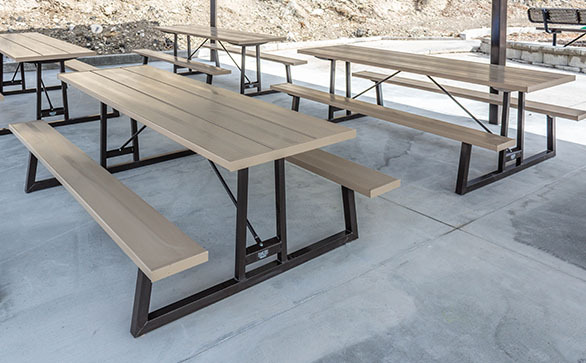 Our aluminum picnic tables are safe, durable, and non-tipping. Standard rounded legs are replaced with angular legs. This keeps the table firmly on the ground, even with unequal weight distributions. 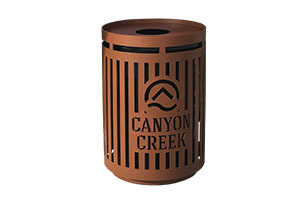 Help keep the environment free of litter with our custom trash receptacles. Each receptacle is available with design options including: city or business logos, inscriptions, and sceneries. 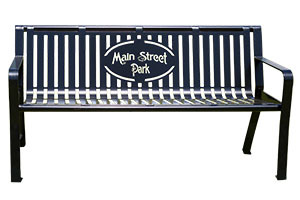 Our stunning benches are designed to provide both function and design. Choose between our Arch or Classic bench style and add a laser cut design onto the bench back. View color options here.